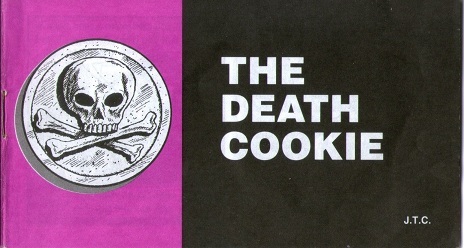 Before there was Westboro, there was Jack Chick. 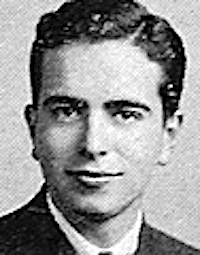 Jack Thomas Chick was born on April 12, 1924 and died October 23 of this year 2016. He was a cartoonist and a publisher who was fixated on defaming the Catholic Church and promoting heresies. Chick used his artistic ability to post lies and misconceptions on the Catholic faith as well as Islam, Jews, Gays and others. He published many booklets which he called "chicklets" which were modeled after comic books. These booklets accused the Catholic Church of many conspiracies such as creating Islam, the Ku Klux Klan, the Holocaust, Communism, major World Wars, Nazism, the Great Depression and so forth. He even claimed that the Catholic Church founded the Jehovah's Witnesses and Mormons! Chick condemned Catholics and all who did not think like him to hell. He promoted bigotry and paranoia. Jack Chick became an Evangelical Baptist after World War II via the Charles E. Fuller radio program, "Old Fashioned Revival Hour." By the 1960s, he began creating his "chicklets" eventually leading to the formation of his own print company in the late '70s. As expected, Chick's tracts were controversial even among other Evangelicals who had issue with his harsh attacks against Catholics. Chick wrote a booklet on "Alberto Rivera" who was an alleged former Jesuit priest. This "priest" claimed to know secrets about the Catholic Church as an "insider." He claimed that the Catholic Church was responsible for Freemasonry and a whole host of other conspiracies. In 1981, writer Gary Metz of Cornerstone magazine exposed Alberto as a fraud. He was never a priest and had a history of legal problems such as fraud, credit card theft and using phony checks. Alberto claimed to have left the Catholic Church in 1952, however, he was promoting Catholicism in a newspaper interview years later. His claims of possessing doctoral degrees was also proven false. He died in 1997. Jack Chick's tactic of using falsehoods is widely known. Many in the Protestant community avoid his content as hateful and even see them as a parody. His Bible illiteracy is clearly visible in each tract. In one, he calls the Holy Eucharist "the death cookie" despite Jesus Himself stating that He is the bread of life and the historical and biblical fact that the Mass has been a rite since the times of the disciples. In fact, the Romans thought the early Christians who were Catholic were cannibals because of how serious they believed that Jesus was present under the appearance of bread and wine. Jack Chick also claimed that the words magical incantation "hocus pocus" came from the words used at Mass for Consecration (HOC EST ENIM CORPUS MEUM). The truth of the matter is that it was the name of a magician. \ In another tract, Chick attacks Islam claiming that it comes from a Pagan religion that worshiped a moon deity. Scholars have dismissed this claim as lacking substance. In any event, Jack Chick was a talent artist. It is unfortunate that he used his talent to promote hate and lies. One does not have to be a college graduate to see his booklets had no academic value. His material will most likely be collected as artifacts of American history. All we can do is pray that God had mercy on his soul. We Catholics are called to love and pray for those who hate us. Jack Chick lived a life of ignorance and fundamentalism which is not compatible with faith in God. May God have mercy on him and may he rest in peace. Jack Chick has died. May God have mercy on his soul for promoting hate and heresy. He lived in ignorance and did not know the evil he did. "Hocus Pocus Junior: The Anatomie of Legerdemain"